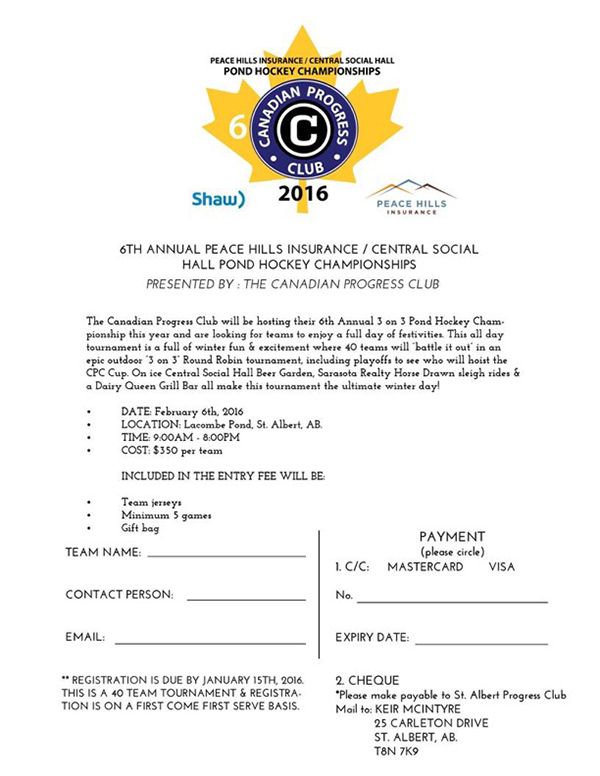 The Canadian Progress Club will be hosting their 6th Annual 3 on 3 Pond Hockey Championship this year and are looking for teams to enjoy a full day of festivities. This all day tournament is a full of winter fun & excitement where 40 teams will “battle it out” in an epic outdoor “3 on 3” Round Robin tournament, including playoffs to see who will hoist the CPC Cup. 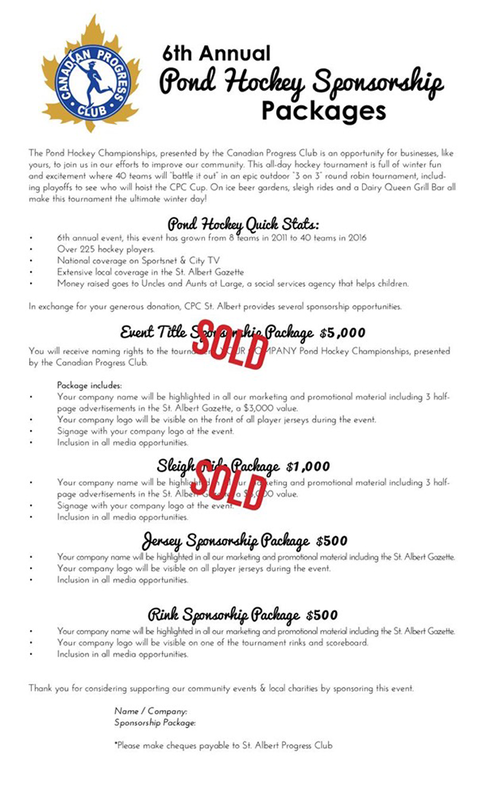 On ice Central Social Hall Beer Garden, Sarasota Realty Horse Drawn sleigh rides & a Dairy Queen Grill Bar all make this tournament the ultimate winter day! LOCATION: Lacombe Pond, St. Albert, AB.